Will Our Kids’ Gym Get Them On American Ninja Warrior? In our previous blog we discussed where the inspiration for Hot Ground Gym came from and why we enjoy the television show American Ninja Warrior so much. So you might be wondering, is that the goal of our students? Is it our goal to see them on television competing with the best of the best? Well, yes and no. Let’s take a look at what we expect from those who are seeking kids fitness at our obstacle course gym. No matter the reasons that a kid attends our kid’s fitness program — whether it’s because they love American Ninja Warrior or their parent knows they need more exercise — our facility is an excellent introduction to obstacle course exercise. American Ninja Warrior works out every part of the body. And because people train years in order to attack the courses, they can make all of the obstacles seem easy. Here’s the big difference between American Ninja Warrior and our Junior Boots program. On ANW, people go it alone, because there’s only one person on the course at any one time. Sure, they might have emotional support from family members on the sideline, and even be cheered on by their competitors, but they’re on that course alone. It’s often different at our kids fitness program. In most cases, the “role and a goal” aspect of the Hot Ground Gym experience means that the kids will be working on teams. That means that the goal can old be attained by working together, because here at our kids’ gym we’re not only about physical development but also social development. 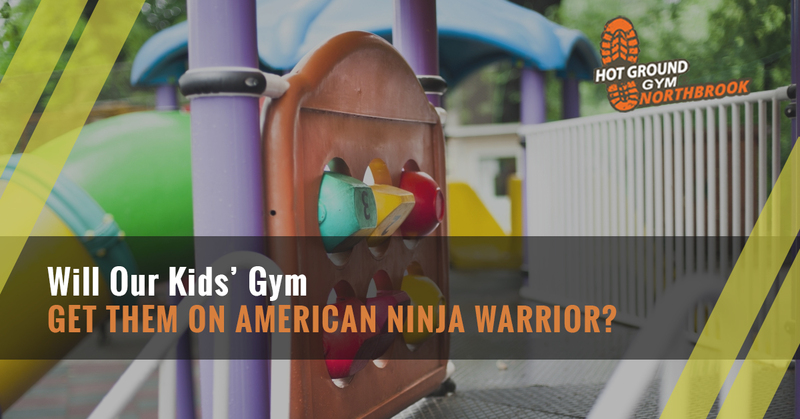 Even if one of the kids in our kids’ fitness program gets the ninja bug and wants to get on TV, it’s going to take some time before they are eligible to be on American Ninja Warrior. The minimum age of participants is 21 years old. We can get them started, though! So Are All Kids On Track? Not every kid is going to be on American Ninja Warrior. And as much as we’d like to see a student of our on the program some day, it’s not really the point. The point is to get kids the obstacle course fitness, critical thinking, teamwork, discipline, and leadership skills that will help them in every aspect of their lives…not just on a television show. If you think our kids’ gym would be right for your child, check out our schedule here.